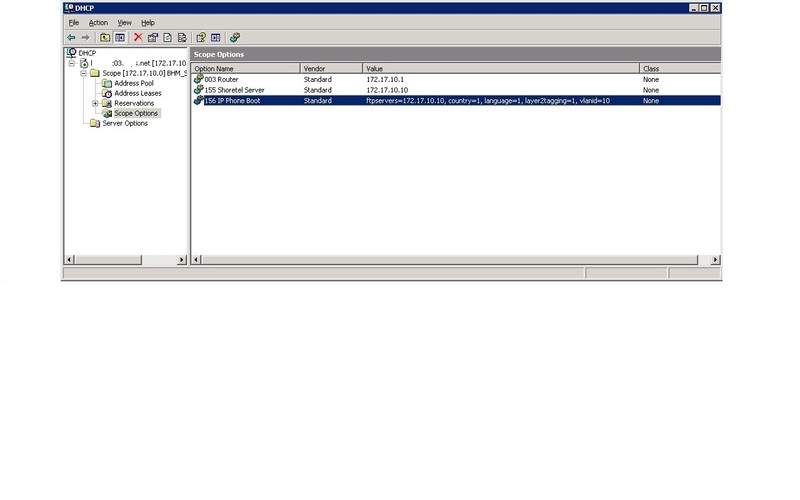 I thought I would post a DHCP config for an IP phones that I deployed. Can you explain what these options are? I know about 156, it is well documented in Shoretel, but 155 is a new one for me? Also, don't forget DNS options. Biff, Im not sure. I have not ever used option 155. 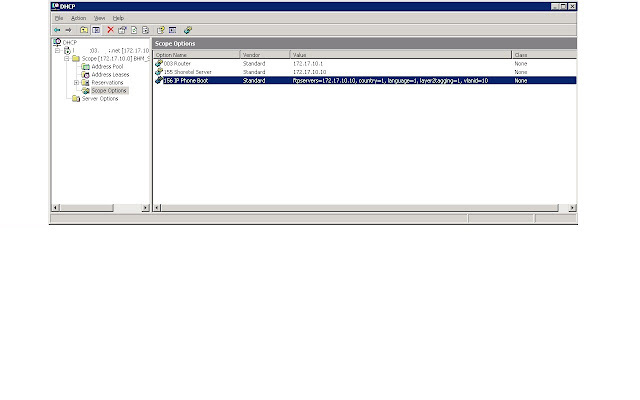 It looks like they are defining the FTP server, but I think you can do that with option 156 also.